Bank repossession auctions in Cape Town selling repossessed cars from Standard Bank, Nedbank, ABSA, FNB and other registered financial credit providers are taking place frequently. Companies such as Burchmores are holding these events on a regular basis and have thousands of second hand vehicles listed and ready for auctioning. With the current financial climate in South Africa people are unfortunately losing their wheels on a daily basis which means that more and more repo cars are becoming available to the public at pretty cheap prices. There are many easy ways to find car auctions in Cape Town. If you are looking to buy a good quality car at an auction you can try one of the following routes to finding several different auctions to attend. Most financial service providers are obliged to repossess assets like houses and vehicles regularly throughout the year. They try to get rid of these assets by auctioning them off to make some of their lost money back. Because they are so eager to get rid of the assets quickly, they often drop the prices very low. While some financial service providers hold their own auctions and sale procedures to sell off repossessed vehicles, many banks pass the assets off to dealerships and auctioneering houses to do it for them. Visit the website of your and other financial service providers and find out whether they sell repossessed vehicles. If they do, you can simply follow the prompts and be directed to a list of their vehicles up for auction. As stated above, many auctioneers sell off repossessed vehicles on behalf of financial service providers, but they also offer vehicles from private sellers, dealerships and other organisations and companies. Contact your local auctioneering house and find out what they have on offer and when their next auction will be held. To get you started, one well-known auctioneering house that operates across South Africa is Aucor. There are a great number of smaller auctioneering houses or auctions run by societies or organisations. You can look through online classifieds like Gumtree for notice of their auctions. You should be careful of this sort of auction as many lesser-known auctioneering houses or staff have been known to be underhanded and deceitful. You should make sure that you are dealing with trustworthy individuals and companies who will take care of your interests and be honest with you. Second hand vehicle dealerships also often hold auctions for the vehicles that they have on offer. It is a good idea to contact your local vehicle dealerships to ask if, when and where they will be holding their next auction. You can find listings and advertisements in online and print classifieds and in local newspapers. 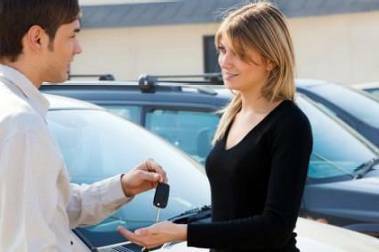 Why buy a vehicle through a car auction? An auction is a great place to look for a real bargain. You may find good quality, relatively young vehicles at great prices if you look carefully. Repossessed vehicles can be great quality for vehicle buyers who are on a budget or even for small dealerships looking for new stock. Another benefit of shopping at an auction is that the potential buyers decide what they are willing to spend on a vehicle rather than a seller setting an extortionately high price. Taking part in the various bank repossession auctions in Cape Town is fairly straight forward and open to anyone who feels confident enough to join in the event and bidding. There are of course some rules and regulations to adhere to when wanting to buy a vehicle in this way but it is all quite straight forward and there are usually staff on hand on the day of an event to help anybody that may be new to the auctioneering scene. Also, the major SA banks such as ABSA, Standard Bank, Nedbank and FNB all offer vehicle finance for buying a repossessed car and usually have on the spot finance available to anyone who needs it. Cars and other vehicles that are due to be auctioned off on the day are usually available for viewing the day before as well as lists or catalogues. It depends on the organisers of the event as to how much time is allocated beforehand to inspect and have a good look around at what’s available. One word of warning before setting off to attend one of these many events, many dealers attend and bid against each other on repo vehicles to resell them at their dealerships around the city. If you have the time it is well worth spending some at a few bank repossession auctions in Cape Town and getting the hang of how things work before you are ready to purchase.